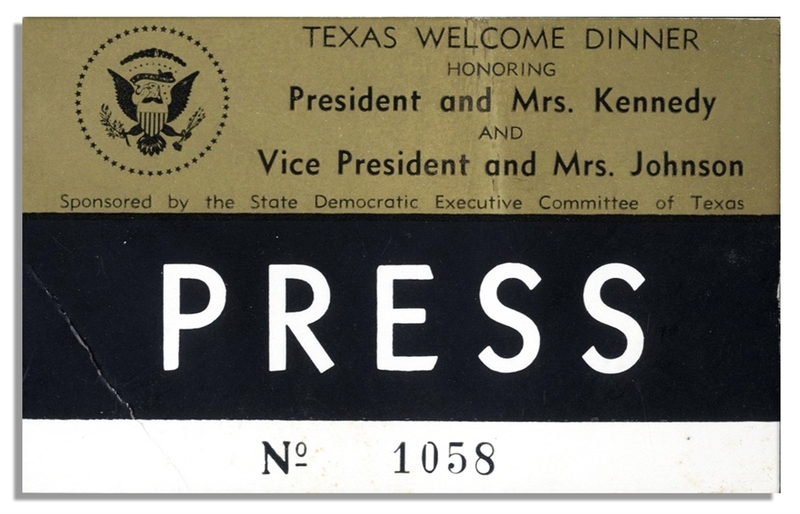 Press pass for the John F. Kennedy Welcome Dinner slated for the evening of 22 November 1963 in Austin, Texas. The black and gold press pass is numbered 1058, and bears the event title and insignia. Measures 3.5'' x 2.25''. Creasing and light soiling; very good condition.